Pictogram international drivers license translation of an original driver license on six languages: English, Spanish, French, Russian, Chinese, and Arabic. 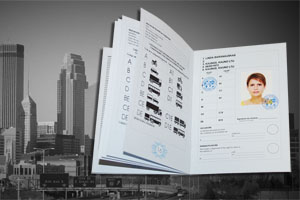 Verbal international drivers license translation of an original driver license on eight languages: English, Spanish, French, Russian, Chinese, German, Portuguese, and Arabic. This card allow to place one listing on auto driver club resources as log as your card is valid. International Driving Permits issued by governmental agencies or private organizations designated by a country's government are the only official translations of a person's driver's license; and our translation of driver's license has no official status and does not confer any legal privileges or rights on consumers. If you are legal or permanent resident and country does not issue the International Driving Permit you should be aware of the following: consumers cannot legally drive in most countries without obtaining a temporary or permanent driver's license from the country in which he or she plans to drive; and our translation of driver's license does not confer any driving privileges on consumers whose home countries do not issue International Driving Permits. 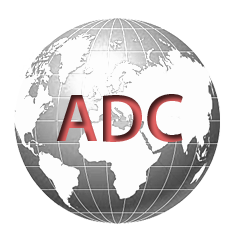 An Unofficial International Translation of Driver's License is issued by AutoDriverClub.com expires in three years or on the date your driver's license expires. An Unofficial International Driver License Translation ( international driver's license translation ) is issued on the basis of a National Driving Permit (driver license) and doesn't demand road test. Our unofficial International Translation of Driver License is a booklet in format A 6 (148 x 105 mm) with the grey cover and white inside pages. The outside and inside of the front cover is printed in the national language, or in at least one of the national languages, of the issuing State. The last two inside pages are printed in French. The inside pages preceding these two pages repeat the first of them in several languages, which include English, Russian and Spanish. Handwritten or typed entries made on a National Driving Permit are printed in Latin characters or in English cursive script. 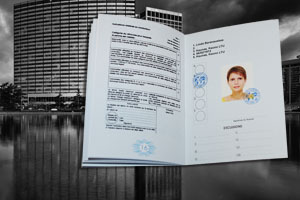 Unofficial International Driver's License non-government issued booklet includes translation on 6 world main languages - French, English, Spanish, Russian, Chinese, Arabic with non-government ID card with secure hologram. Unofficial International Driver's License non-government issued booklet includes translation on 6 world main languages - French, English, Spanish, Russian, Chinese, Arabic, and pus 3 additional languages Portuguese, German, Japanese with non-government ID card with secure hologram. 8 hours is process time of international translation of your freign driver license. This process time is not included payment pending and shipment time.